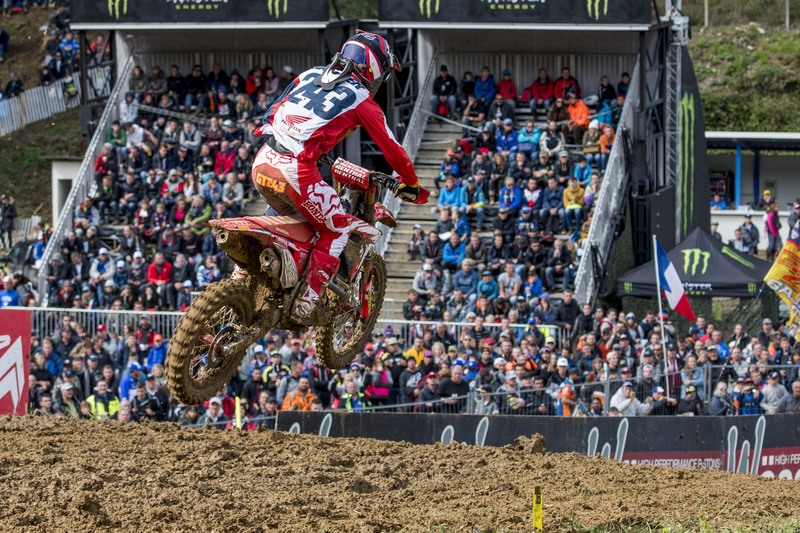 Tim Gajser and his CRF450RW took a second overall today in the MXGP of Montbéliard. 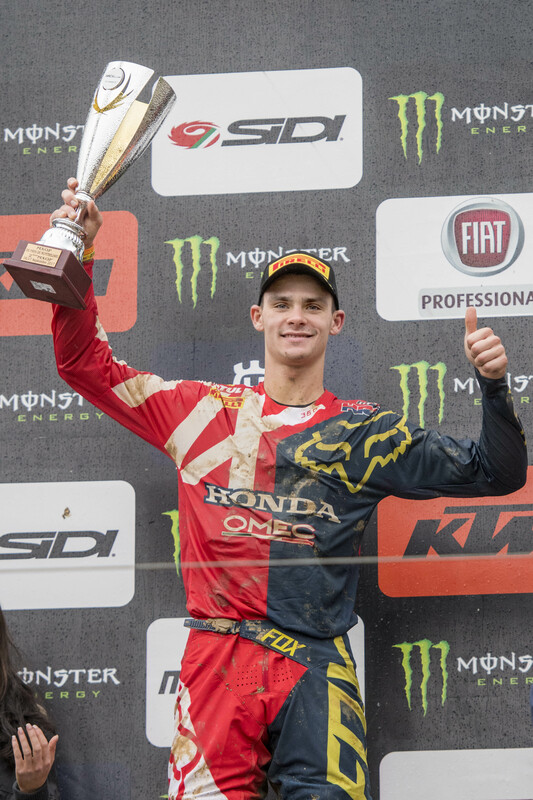 The Slovenian looked relaxed today as he fought through the rain and mud in France to end his season as it had started- on the podium. 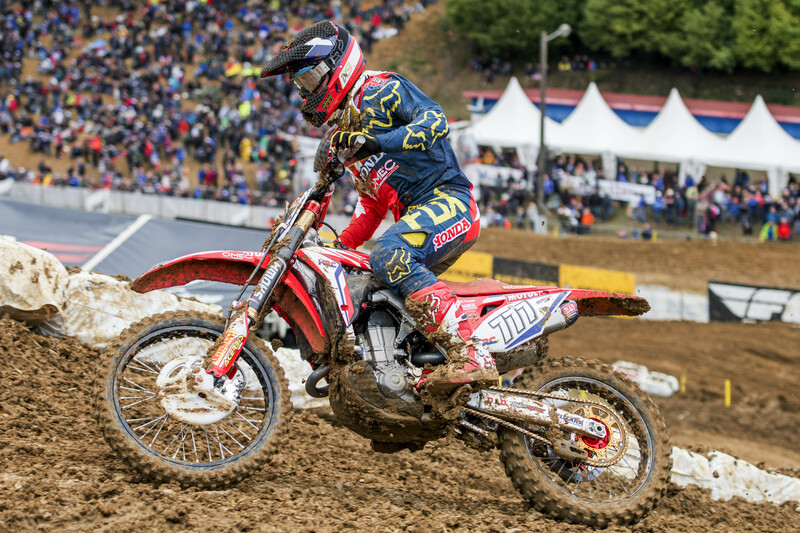 In the first race, he sat himself in the inside rut, got out of the way of Febvre early on and pulled healthy gap, enabling him to take a comfortable win. Although he had a good start in the second race it wasn’t enough to keep him out front and he finished third to give him a second overall. 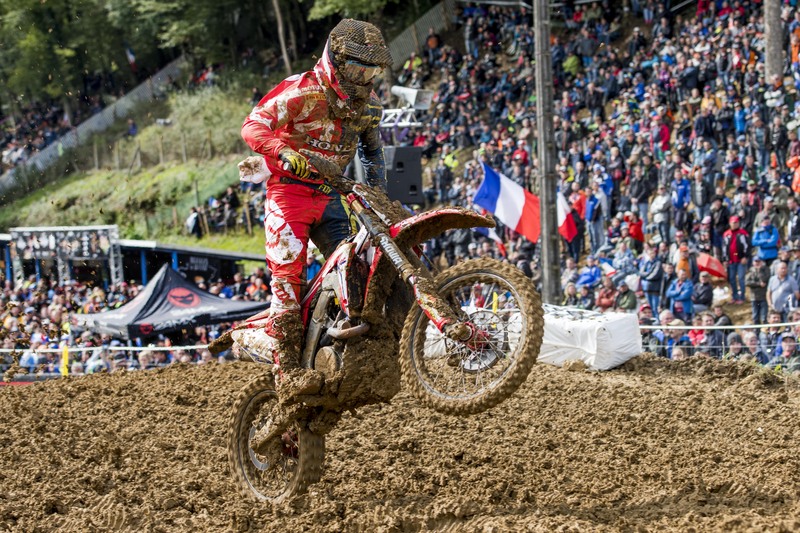 Bobryshev meanwhile didn’t end his season the way he had hoped for. After making a comeback in the first race from a second corner fall, his second race ended with a DNF when he crashed out of fourth place and injured his thumb. The season for me started really well, I had the red plate for the first four rounds until I crashed in Europe and got injured. From then on, my season went downhill. I was riding in pain and was not the same condition before the crash. Then I crashed again and that was pretty much how my season has gone. I am glad to finish the season strong and today I felt really good in the mud. I made too many mistakes this year and when I make a mistake I end up injured. The last few races I have been in much better condition and the riding is quite ok. I want to say a huge thanks to everyone around me and my family. I had a frustrating weekend here. Both races I had a good start but in the first race I fell in the second corner, ended up dead last but managed to come to eleventh. The conditions out there were so tough, it was really difficult and to avoid making mistakes. 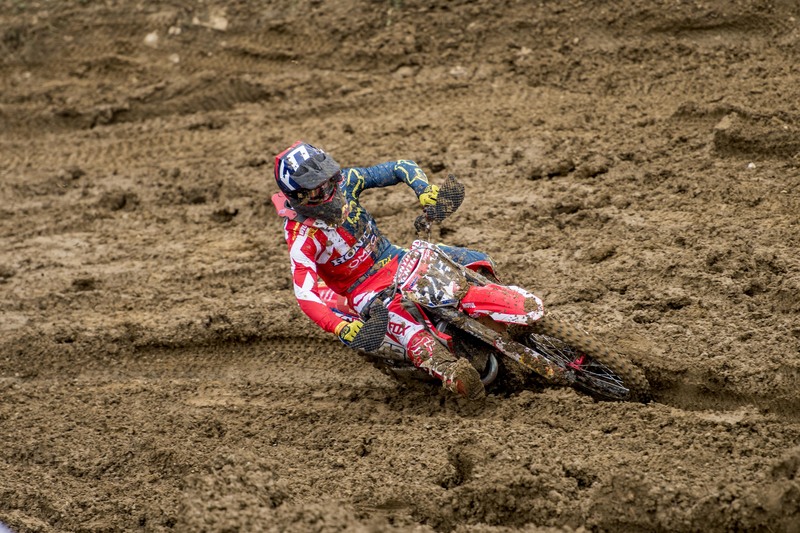 The second moto started off really good, I was running fourth for most of the race and I was feeling confident. I was really pumped as I knew I was running upfront. Then, I banged bars with Tonus and I went down pretty hard and damaged my thumb. I pulled off as the pain was too much. I DNF’d the second race as a result. The season is finished now and I really want to say a big thanks to all of the team, Honda and the sponsors for seven years together and it is a shame to leave the group and I am a bit sad but I wish everyone and my team mate Tim good luck for the future. Good result for Tim today, getting back on the podium. It has been a very calm and relaxed weekend for him to turn in a good result. He felt good all weekend even though the conditions were really against the guys It was really a case of making no mistakes which Tim avoided in the first race and avoided. In the second race, he went for the same start position and the bike spun a little off the gate and he didn’t quite make the same jump but he finished third for second overall which was a good way to end the season from Tim’s side. For Bobby, he had a fantastic start in race two. He had a number of crashes in race one but in the second race he was so strong and riding in fourth position until he fell. He ended up not finishing the race unfortunately. This is our last GP with Bobby, it has been a long time that we have been with him and we thank him for everything he has done for us over the years.